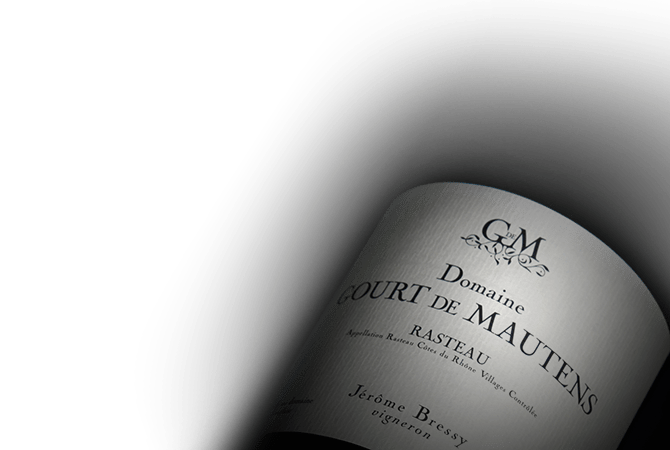 The domaine Gourt de Mautens was founded in 1996, by Jerome Bressy, who, at the age of 23, produced his first vintage in a converted building on the family farm. Previously, in 1989, Jerome's father, Yves Bressy, decided that his entire vineyard would be farmed organically even though the grapes continued to be supplied to the cooperative. In 1998, the domaine's cellar was built. The domaine Gourt de Mautens consists of 13 ha of vines. The vines are strictly organic since 1989 (ECOCERT certificate) and biodynamic since 2008 (DEMETER certificate). As he chooses to maintain a traditional blend, placing a high importance on native old grape varieties, Jerome Bressy sees himself obliged to leave the Rasteau 'Cru' and the Cotes du Rhone appellation. From 2010, the wines will be sold as "Indication Geographique Protegee Vaucluseö.